Updated July 29, 2:28 p.m.
Naser Jason Abdo made an initial court appearance in Waco, Tex. 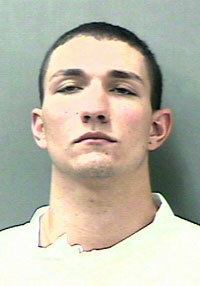 Friday, where he was charged with possessing an unregistered weapon. Press reports indicate that Abdo defiantly invoked the name of 2009 Fort Hood shooter Nidal Hasan as he was taken out of the courtroom. 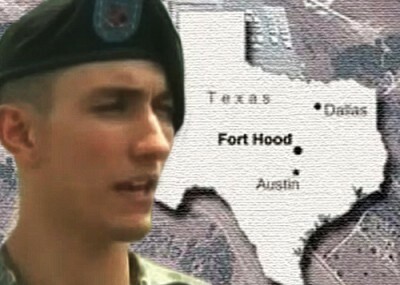 "Nidal Hasan Fort Hood 2009," spectators heard him shout. Hasan is charged with killing 13 people during a shooting spree at a readiness center at Fort Hood in November 2009. Hasan had been in contact with American-born al-Qaida cleric Anwar al-Awlaki before the attack, and Awlaki hailed Hasan as a hero after the shooting. Investigators have not found evidence that Abdo had similar communication with terrorists, but he did have a copy of an article from al-Qaida's English-language magazine, Inspire, with instructions on home-made bombs. Abdo, who had been granted conscientious objector status, claimed he could not kill fellow Muslims if deployed to Afghanistan. His target and his shouting of Hasan's name indicate he felt no hesitation killing his fellow soldiers. The possession charge may not be the extent of the charges Abdo ultimately faces. Rather, it may be a preliminary step to detain him while the investigation unfolds. According to an FBI affidavit filed with the criminal complaint, Killeen Police arrested Abdo on outstanding warrants when he was found at America's Best Value Inn and Suites. He told arresting officers that "he intended to conduct an attack against Killeen and Ft. Hood," wrote Special Agent James Runkel. Abdo also acknowledged there were explosives in his backpack. When agents searched it, they found "two clocks, two spools of auto wire; Winchester .40 caliber ammunition; Springfield .40 caliber handgun, model XD. Also included in the backpack was an article entitled "Make a bomb in the kitchen of your Mom." Also found a notebook with a handwritten list of items including pressure cookers, a power drill, gunpowder, shotgun shells and wires. An FBI bomb technician said the items found in the hotel room "can be used to construct a destructive device, as that term is defined in federal law." During subsequent questioning, Abdo "admitted that he planned to assemble two bombs in the hotel room using gun powder and shrapnel packed into pressure cookers to detonate inside an unspecified restaurant frequented by soldiers from Fort Hood, Texas."